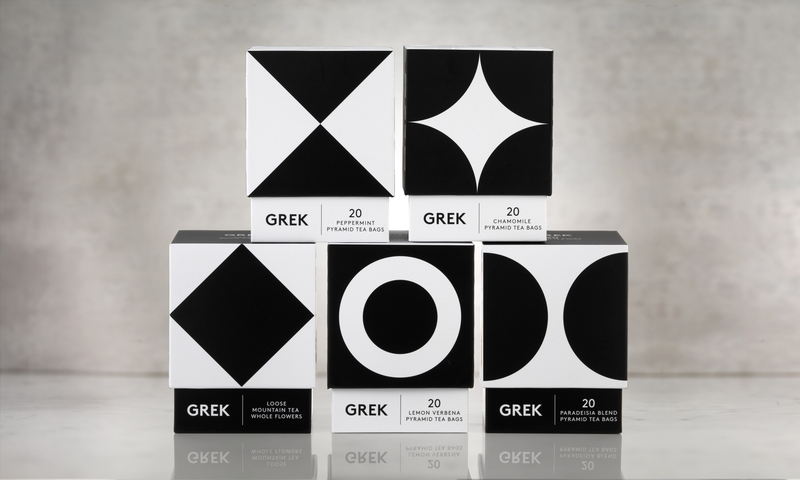 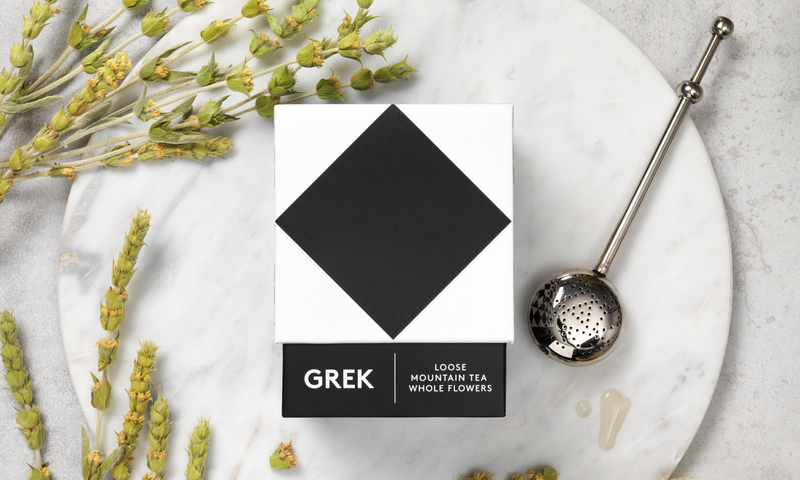 Design studio Interabang‘s branding and packaging for herbal tea company GREK is inspired by geometric tiles found in the Greek village of Pyrgi. 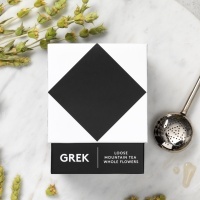 (The company’s founder often visited Pyrgi as a child and its teas are made with Greek herbs). 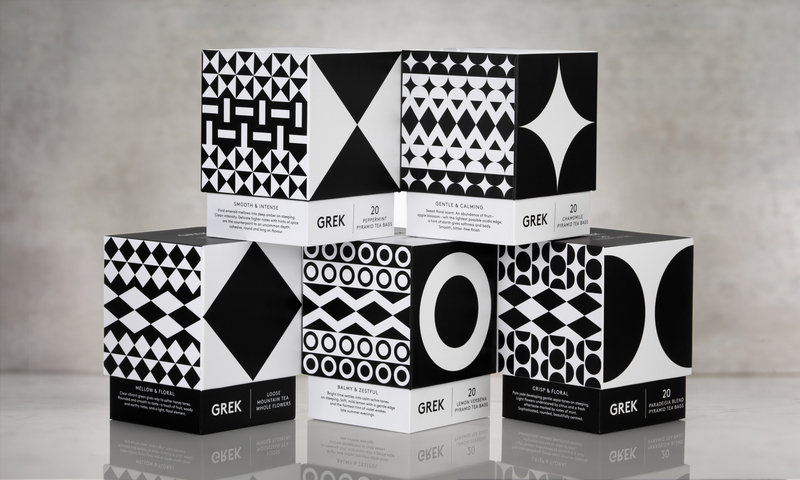 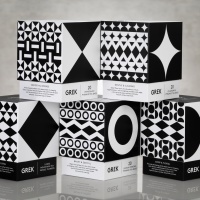 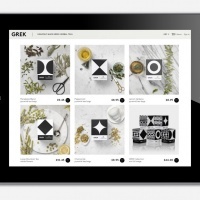 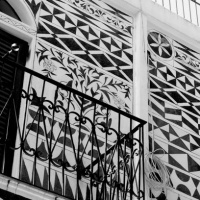 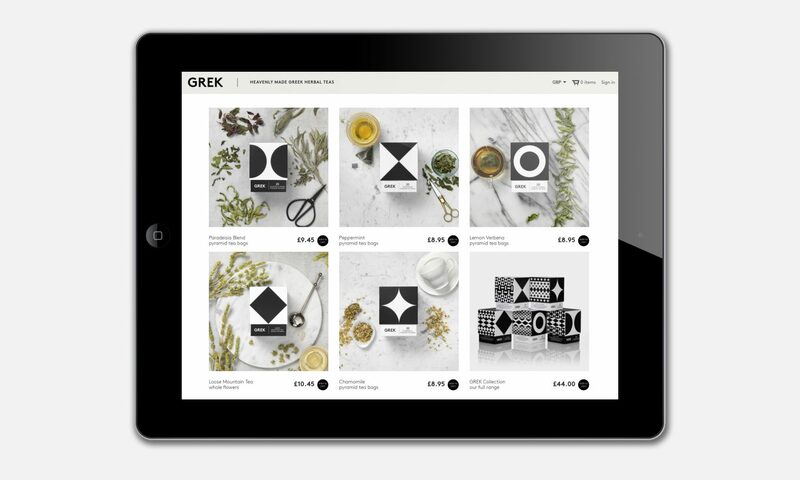 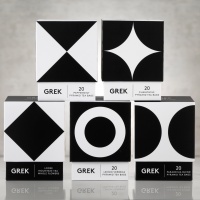 Interabang created a symbol and monochrome pattern for each flavour in GREK’s range. 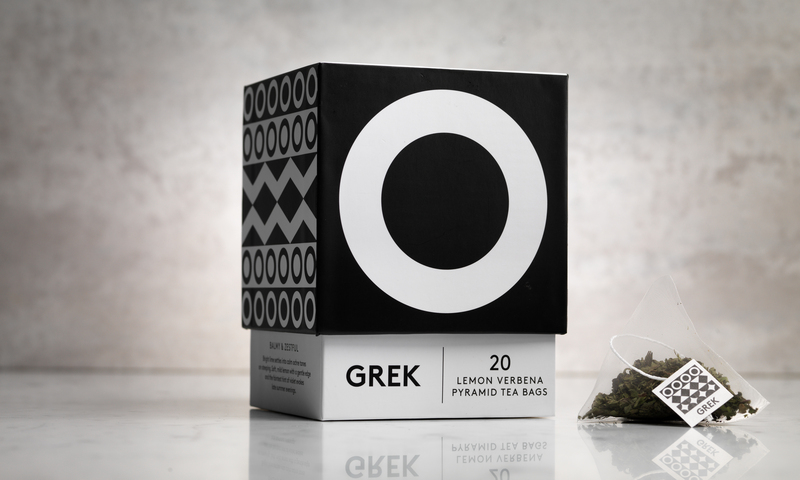 Patterns and symbols are featured on boxes alongside flavour descriptions written by Scott Perry. 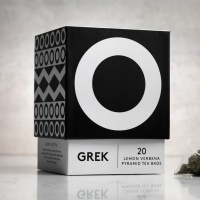 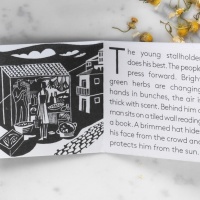 Inside each box is a booklet containing a short story about that tea. 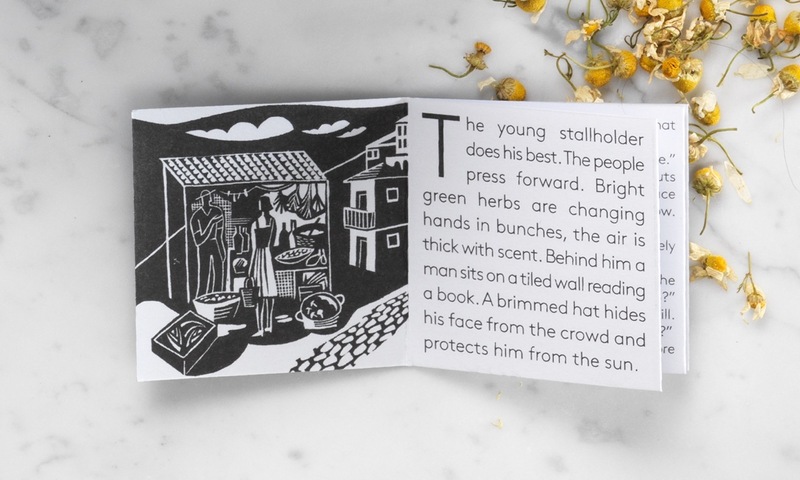 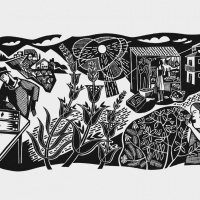 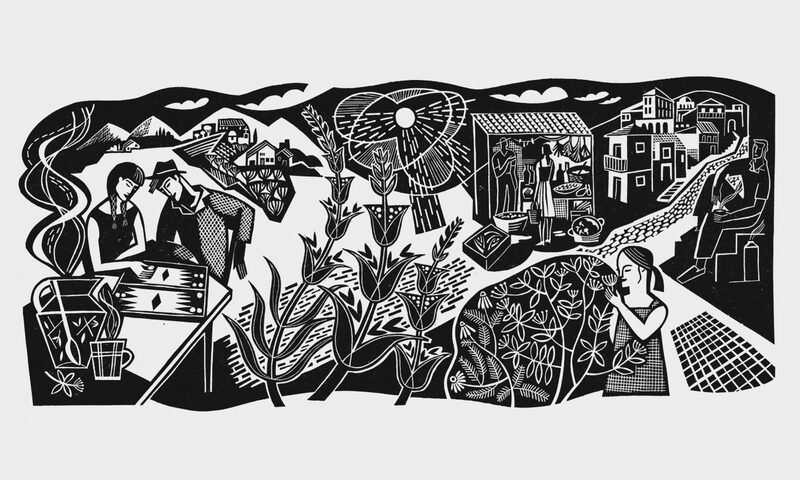 Stories were written by Perry and illustrated by Suffolk-based printmaker Claire Curtis.